What Does the PROTECT Asbestos Victims Act Really Mean? In March, the “PROTECT Asbestos Victims Act” (S. 2564) was proposed. The name of this bill seems promising to anyone that has been affected by an asbestos-related disease like mesothelioma. Unfortunately, the “PROTECT Asbestos Victims Act” does exactly the opposite of helping asbestos victims and their loved ones. According to many sources, like the Asbestos Disease Awareness Organization (ADAO), this bill is just another way to protect asbestos manufacturers from being held accountable for their actions. The main sponsor of S. 2564 is Senator Thom Tillis. Cosponsors of the bill are Senators John Cornyn, Chuck Grassley, and Orrin G. Hatch. The goal of S. 2564 is to amend title 11 and 18 of the United States Code. Title 11: deals with bankruptcy. Under the “PROTECT Asbestos Victims Act” the bill will promote thorough investigations against claims filed with certain trust funds. The goal is to rule out any fraudulent claims against an asbestos-manufacturing company. Title 18: deals with federal crimes and the criminal procedure. S.2564 aims to penalize individuals if their claims against certain trust funds are found to be fraud. “We are holding the sponsors and others who may think about supporting S. 2564 responsible for this shameless attack on innocent victims who have built and defended our country, their families who washed their clothes, and their children who hugged them, and those exposed after disaster,” stated Linda Reinstein. Reinstein is the president and co-founder of the Asbestos Disease Awareness Organization (ADAO). Every day, ADAO makes strides towards officially banning asbestos and putting an end to preventable asbestos-related diseases. 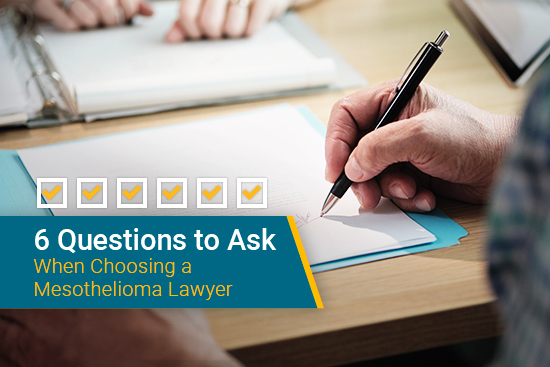 Mesothelioma warriors have a right to receive compensation for their pain and suffering – all asbestos victims do. Companies that used these carcinogenic products knew of its danger and hid it from their employees. Many companies went bankrupt due to claims filed against them. These companies were forced by bankruptcy courts to set up trust funds for future claims. 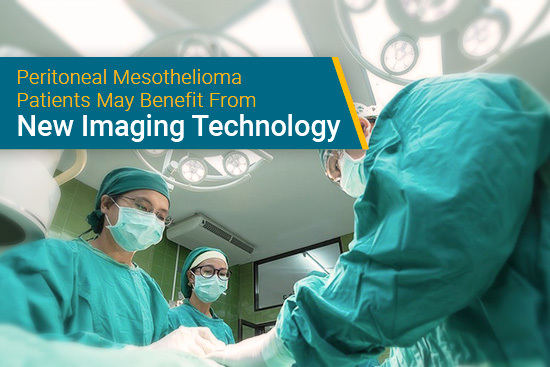 Currently, trust funds help many mesothelioma patients by providing them with compensation that helps pay for treatment and other financial burdens. However, the “PROTECT Asbestos Victims Act” intends to buckle down on claim payouts and complicate its process. This isn’t the first time that elected officials have attempted to interfere with the rights of asbestos victims. Every year since 2004, the “FAIR Act” and “FACT Act” have been reintroduced. If either bill ever passes, they will require patients to release personal information, and they will make it harder for individuals to receive the compensation they deserve. 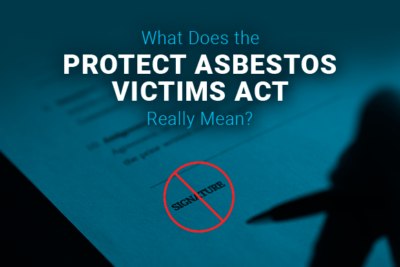 “Whether you call it the FAIR Act, the FACT Act, or the new ‘PROTECT Asbestos Victims Act’ – it’s always the same industry driven legislation to delay and deny justice to present and future asbestos victims. This newest bill’s name is misleading and offensive with claims to protect victims but instead protects trust money, instead of focusing on a much needed asbestos ban, while continuing to give the asbestos industry a pass,” said Reinstein. 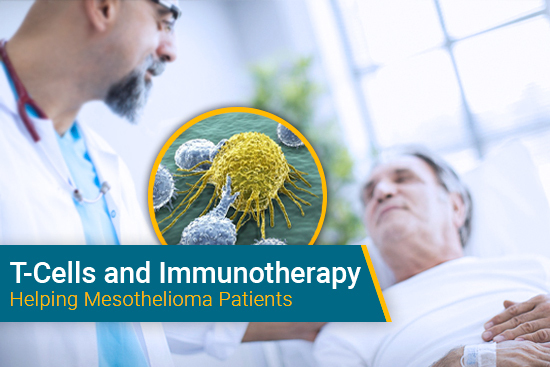 ADAO has been a voice for the mesothelioma community since 2004. This non-profit was created by asbestos victims and their loved ones. Its mission is to help raise awareness about asbestos exposure and to protect its victims. The month of April is busy for ADAO. On April 1-7 the 14th Annual Global Asbestos Awareness Week occurs. It features educational resources, special guests, videos, and the stories of asbestos victims. On the last day of the event, a worldwide candle vigil is held online. On April 13-15 ADAO will host the 14th International Asbestos Awareness and Prevention Conference. This 3-day event brings together experts and individuals from all over the world that have been affected by asbestos. All of the attendees of this conference get a chance to connect and share their stories, beliefs, and efforts. For more information about ADAO and how you can make a difference, please visit their official website. Also, make sure that you follow the organization across social media and use #GAAW when posting during Global Asbestos Awareness Week. OVERVIEW OF BANKRUPTCY CHAPTERS. The United States Department of Justice. Retrieved from: https://www.justice.gov/ust/bankruptcy-fact-sheets/overview-bankruptcy-chapters. Accessed: 03/28/2018. TITLE 18—CRIMES AND CRIMINAL PROCEDURE. Government Publishing Office. Retrieved from: https://www.gpo.gov/fdsys/pkg/USCODE-2009-title18/html/USCODE-2009-title18.htm. Accessed: 03/28/2018. Asbestos Disease Awareness Organization Opposes S. 3274, the Fairness in Asbestos Injury Resolution Act of 2006; New ''FAIR'' Act Still Highly Unfair to Asbestos Victims. Business Wire. Retrieved from: https://www.businesswire.com/news/home/20060602005271/en/Asbestos-Disease-Awareness-Organization-Opposes-S.-3274. Accessed: 03/28/2018. H.R.906 - Furthering Asbestos Claim Transparency (FACT) Act of 2017. Congress.Gov. Retrieved from: https://www.congress.gov/bill/115th-congress/house-bill/906. Accessed: 03/28/2018. ADAO Steps Up to Challenge the 2017 FACT Act and Protect Asbestos Victims’ Civil Rights. Asbestos Disease Awareness Organization. Retrieved from: http://www.asbestosdiseaseawareness.org/archives/42912. Accessed: 03/28/2018. Tweet by Linda Reinstein. Twitter. Retrieved from: https://twitter.com/i/web/status/975730006486732800. Accessed: 03/28/2018. Press Release: ADAO Strongly Opposes the So-Called “PROTECT Asbestos Victims Act” (S. 2564). Asbestos Disease Awareness Organization. Retrieved from: http://www.asbestosdiseaseawareness.org/archives/47061. Accessed: 03/28/2018. All Information (Except Text) for S.2564 - PROTECT Asbestos Victims Act of 2018. Congress.Gov. Retrieved from: https://www.congress.gov/bill/115th-congress/senate-bill/2564/all-info?r=1. Accessed: 03/28/2018. ADAO’s 14th Annual International Asbestos Awareness and Prevention Conference April 13-15, 2018. Asbestos Disease Awareness Organization. Retrieved from: http://www.asbestosdiseaseawareness.org/archives/43833. Accessed: 03/28/2018. Press Release: ADAO Launches 14th Annual “Global Asbestos Awareness Week” April 1-7, 2018. Asbestos Disease Awareness Organization. Retrieved from: http://www.asbestosdiseaseawareness.org/archives/46744. Accessed: 03/28/2018. 2018 ADAO International Asbestos Awareness and Prevention Conference Speaker and Honored Guest Information. Asbestos Disease Awareness Organization. Retrieved from: http://www.asbestosdiseaseawareness.org/archives/45535. Accessed: 03/28/2018.